A couple more trips to the cinema here in Los Angeles this week, catching up with films that are screening to the press in London this week. First up is the romantic-comedy Friends With Benefits, starring Mila Kunis and Justin Timberlake as professional colleagues who decide to have a non-emotional sexual friendship. No prizes for guessing where this story is heading, and it's a little disappointing that such a smart, witty script can't break away from the cliches it's otherwise setting out to undermine. But the characters are thoroughly enjoyable - apart from a few goofy elements such as Timberlake's inability to add two numbers together. 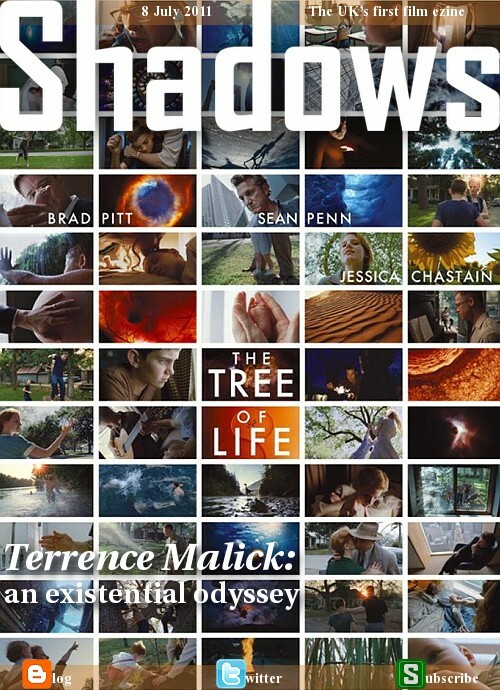 The chemistry between the two is terrific, and the supporting cast is packed with hilarious cameos and lively performances from favourite actors like Patricia Clarkson and Richard Jenkins, who unsurprisingly breathe life into people who would be yawn-worthy stereotypes in a lesser film. 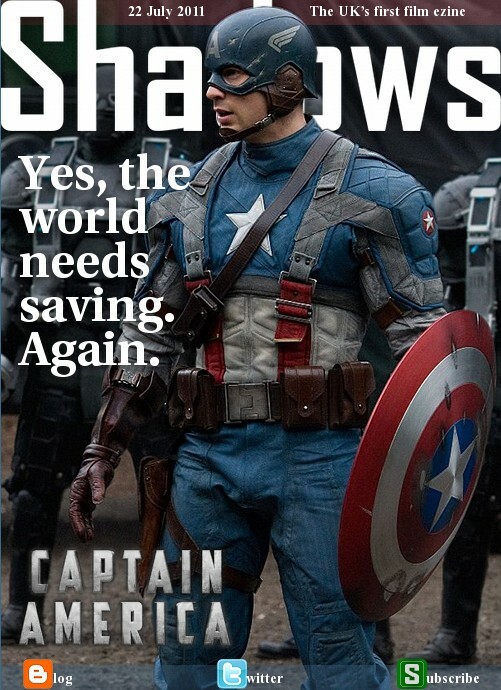 It's also sharply well shot and edited, and even with the obvious plot manages to win us over in the end. The strange thing about this week's action blockbuster release Cowboys & Aliens is that it's not actually an action blockbuster. It's essentially a traditional Western adventure, with a few aliens thrown in to spice up the plot. Fortunately, it has Daniel Craig in the central role, muscling his way through the drama with brooding emotion and hard physicality, plus Harrison Ford in snarky Han Solo mode, being gruff and grumpy or dismissive and sarcastic as needed. Like a standard Western, the film involves a group of men (plus the improbably hot Olivia Wilde) searching for kidnapped family members and encountering bandits and marauding native Americans along the road. The one twist is that the kidnappers are from another planet, bent on stealing Earth's resources and so on. It's great fun to watch these fairly standard Wild West characters face up to this kind of threat, even if the climactic action scenes are a little too forced to be truly exhilarating. But it's nicely directed by Jon Favreau with plenty of understated charm thrown in along the way. Caught up with Woody Allen's Midnight in Paris yesterday and was pleasantly surprised. After a run of rather loose, uneven films this is a remarkably sharp, funny and astute comedy. And even the fantasy elements are handled with skill and wit. I particularly enjoyed a long-take scene at Versailles (above) in which four characters have a lively, often ridiculous discussion that tells us far more about the characters than we realise at the time. Kevin Spacey, Jennifer Aniston and Colin Farrell get the chance to shamelessly chomp on the scenery as the eponymous Horrible Bosses, this week's big movie screened to UK critics. It's a lot of fun to watch, even if it reflects that calculated Hollywood filmmaking style in which the script is more an exercise in assembly-line marketing (hapless heroes, periodic gross-out gags, big-name cameos, Aniston as a sexual predator) than an actual story. 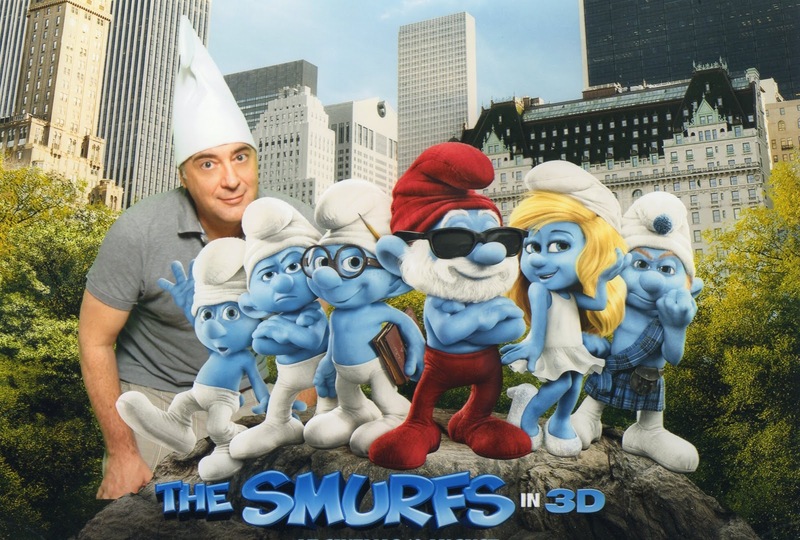 The same can also be said for the Americanisation of The Smurfs, a 3D romp made from a by-the-numbers script. But at least there are some flashes of real wit in both films. Much more interesting were two grisly thrillers: Ben Wheatley's genre-busting dramatic horror film Kill List and, to a lesser extent, the Butcher Brothers' grotesque horror sci-fi romp The Violent Kind both have the ability to continually catch us off guard, which doesn't happen nearly enough to a jaded film critic. And three other smaller films show considerable talent on a micro-budget: Sundance parallel-world winner Another Earth, the London relationship/crime drama Turnout and the extremely low-key 1970s-set Chilean thriller Post Mortem. All three have style and skill to burn, including excellent casts and offbeat approaches to narrative, even if each of them feels a little pretentious. This coming week we have the football doc The Referees, the experimental Alaskan film The Nine Muses and two indie gay rom-coms: Weekend and Finding Me: Truth. 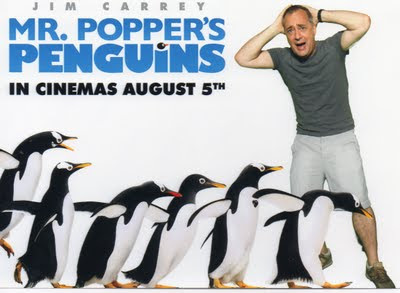 There are also a couple of biggies, with Chris Evans as Captain America: The First Avenger and Jim Carrey starring in the kiddie romp Mr Popper's Penguins. I can't quite decide whether I'm looking forward to either of those, but I think I'm beginning to feel harassed at the office. Frankly it's no contest, but UK critics were this past week subjected both the remake of the 1980s schlock horror Fright Night, starring Colin Farrell (above), and the final ever Harry Potter movie, namely Harry Potter and the Deathly Hallows: Part 2. 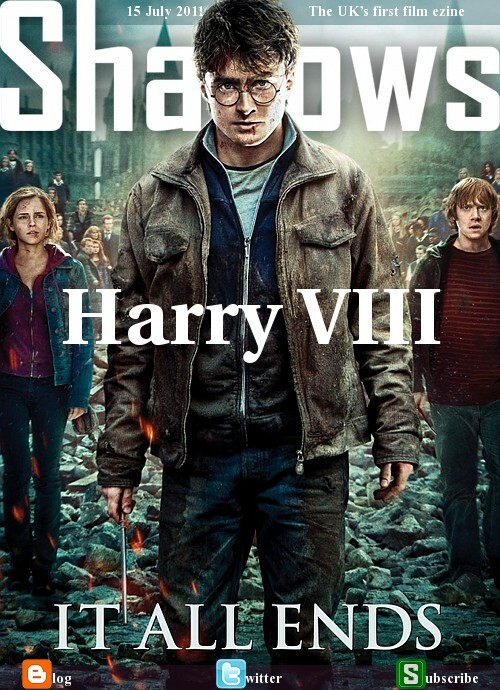 Clearly, Harry's last chapter, packed with action mayhem that ties up every plot thread in rather unnecessary 3D, is going to triumph hugely at the box office. Although the Fright Night remake will offer some good fun to scary movie fans (if not many actual scares). Whatever, pretty much everyone on earth is aware of the mind-boggling world premiere Potter-mania that engulfed Trafalgar Square last Thursday. I suspect next year's Olympics will pale by comparison. Also this past week we had the frankly astonishing umpteenth adaptation of Charlotte Bronte's Jane Eyre, one of my very favourite books, and perhaps the best ever movie of it, starring the terrific Mia Wasikowska, Michael Fassbender, Jamie Bell and Judy Dench. I mean, honestly. There were also these: the cute but a bit dull teen coming-of-age drama The Art of Getting By, Paddy Considine's rightfully award-winning British drama Tyrannosaur, the ripping Nazi-occult horror The Devil's Rock from New Zealand, and Morgan Spurlock's outrageously entertaining product.placement doc The Greatest Movie Ever Sold. This coming week we get to see Jennifer Aniston's nasty turn in Horrible Bosses, the 3D animated excitement of The Smurfs, the parallel-world drama Another Earth, the acclaimed horror film Kill List, and the festival favourite Post Mortem. Critical Week: Can we talk? In my seemingly never-ending efforts to catch up with movies from the Cannes Film Festival, there was a UK press screening this week for Lynn Ramsay's astonishing We Need to Talk About Kevin. Tilda Swinton is of course amazing in what's essentially a horror film about a mother-son relationship that isn't remotely right. I also caught up with two high-profile American releases: JJ Abrams' enjoyable ode to all things Spielberg in the 1970s sci-fi adventure Super 8 (which has a strangely delayed release date here in Britain), and Robert Redford's dry but gripping exploration of some little-known Lincoln Assassination history in The Conspirator, starring the terrific James McAvoy and Robin Wright. Other films included the divine Kristin Scott Thomas' latest French film, the wrenching dual-strand drama Sarah's Key; the lurid mayhem of the 3D British kids' romp Horrid Henry; the fascinating Japanese comedy-drama Sawako Decides; the gruelling inner-city Chicago doc The Interrupters; and the gorgeously photographed wildlife doc One Life - finally a bit of escape from what was a surprisingly heavy week. I also managed to get to the theatre to see the internet-based murder thriller Two Boys at the English National Opera - yes, really. It's fiercely original, with astonishing staging and a clever use of music and surtitles, even if it does portray all web chatrooms as the deepest layers of hell. Coming up this week is the last film in the series: Harry Potter and the Deathly Hallows: Part 2, as well as the latest incarnation of Charlotte Bronte's classic novel Jane Eyre, a starry remake of the 1970s horror movie Fright Night, the youthful rom-com The Art of Getting By, and Morgan Spurlock's product-placement doc The Greatest Movie Ever Sold. And I'm also escaping from London for the weekend - which will be nice for a change - heading across the North Sea to visit friends in Oslo.